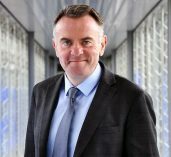 Following his appointment in May 2017, Noel Curran has taken up his position as the new Director General of the European Broadcasting Union (EBU). He replaces Ingrid Deltenre who has stepped down after eight years in charge to focus her attention on her Board responsibilities. Curran is the former Director General of RTÉ and brings with him a wealth of experience in public service media (PSM). As Director General, he radically restructured RTÉ in the wake of the financial crisis and successfully repositioned the broadcaster as a robust digital media organisation. He is also an award-winning investigative journalist and producer and has worked on a wide range of live television events including producing the 42nd Eurovision Song Contest in Dublin in 1997.